I'm Kelsi and I'm from Redondo Beach, California. For the past five years I've been studying and working in Ireland. 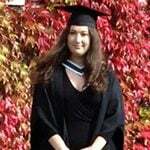 I graduated from Maynooth University last October with a BA International in Anthropology and Spanish and I am now at Maynooth getting my MA in Anthropology. It can be really easy to get swept up in the need to travel the world. As an American, I know how exciting it is when you realize that dozens of countries are just a quick and cheap plane ride away. A lot of students (especially ones here for just a semester or a year) spend so much time travelling to London, Paris, and Rome that they miss out on what Ireland has to offer. While all of those places are definitely worth seeing, there is a reason that we all chose to study abroad in Ireland. I’ve had the rare opportunity to get both my BA and MA at Maynooth University so I know better than anyone what is worth spending your money on and what you can afford to miss. Because not everyone can spend five years in Ireland discovering what is and isn’t worth doing, I’ve come up with a list of my three favourites to save you some time. Everyone goes to the Guinness Storehouse and everyone goes for a pint in Temple Bar. They are definitely worth doing, but the thing that I recommend to everyone is the Folklore dinner at the Brazen Head pub. You get to enjoy three courses while listening to (and singing along with) traditional Irish music and Irish folklore. Is it touristy? Without a doubt. But what else can you expect from a pub claiming to be the oldest in Ireland? While it isn’t the cheapest thing to do in Dublin (€40 per person), I definitely think it’s worth the money. I’m not sure what else there is to do in Clare, but if your ever in the neighbourhood, definitely go here! I’m sure by now you’ve realized that Ireland isn’t lacking in castles, but if you only go to one, this should be it. The folk park surrounding the castle brings you back in time as you explore what it was like to live in the 1800s and the castle itself hosts traditional medieval banquets served with mead, bagpipers, and a theatrical performance. 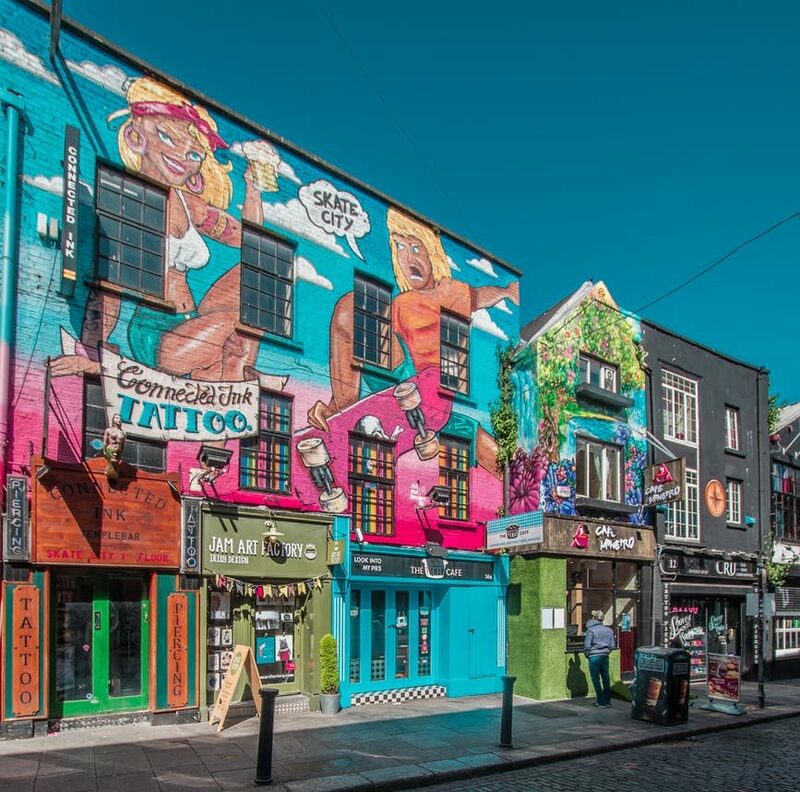 Galway is one of my favourite places to get away to for the weekend, but if you’re on a budget, you can go for just the day. Every time I am in Galway, I have to make time for afternoon tea at Cupan Tae. 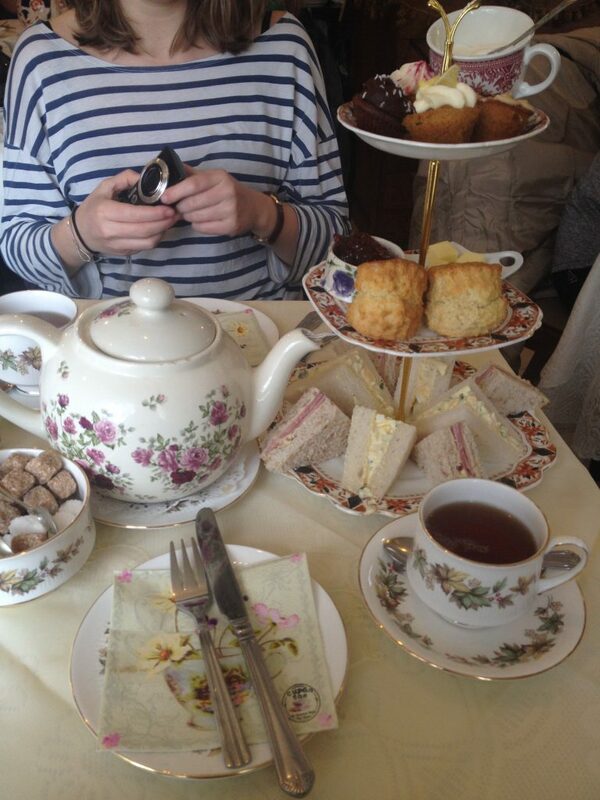 It is a quaint Irish tea shop with mismatched tea sets, a floral/frilly motif and over 30 types of tea to choose from. You could easily pay well over £30 for afternoon tea in London, but here it is a very reasonable €15 and you’ll be full for the rest of the day. While they are wonderful for travellers who are only in Ireland for a few days and want cram in as much as possible, I find that I’m always feeling rushed and I just don’t enjoy them. Even if you are only here for a semester, I really recommend exploring on your own. While there are countless other things that are worth doing, these make the top of my list. But no matter where you decided to go in your free time, I hope you decide to discover Ireland. Next articleWhen Science and Fun Collide!